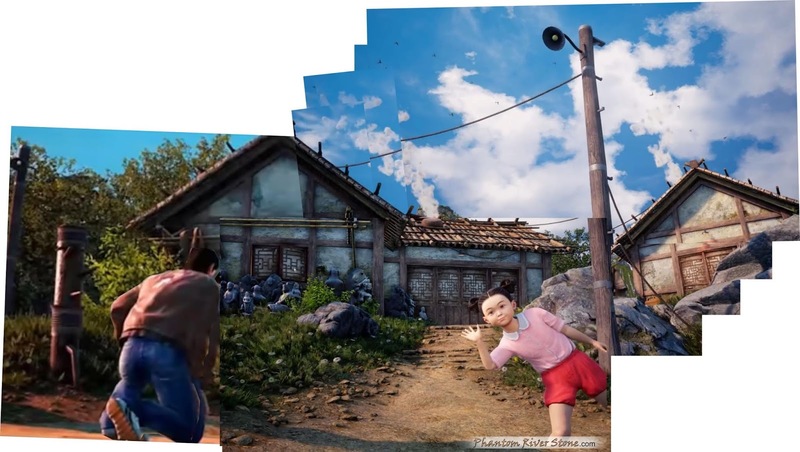 The recent Shenmue III video, with its message for backers from the little girl at Bailu village, was full of animation and small details. 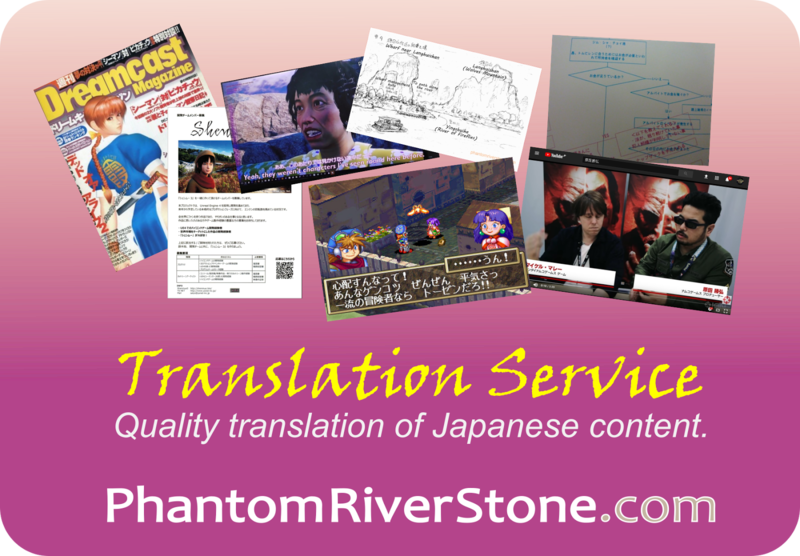 Phantom River Stone goes through the video with a fine-toothed comb. A new video clip set in Bailu village was included with the recent Kickstarter Update on the Backer surveys. 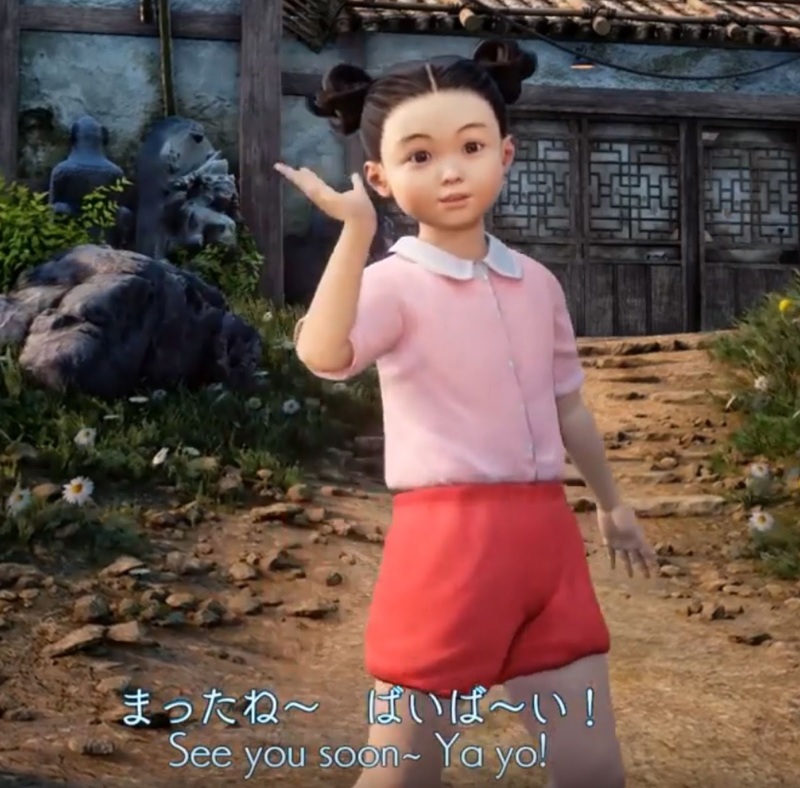 It features the little girl we have seen in a few previous updates, most recently talking with Ryo in the THQ Nordic presentation - but now we are able to hear her voice for the first time, and there is even an Easter egg in the background! In this post we comb through the clip to examine the small details it contains. First, here is the clip, which has a play time of around 40 seconds. The opening shot shows fluffy white clouds set against a brilliant blue sky. In the foreground we see the wooden pole of a street light with heavy electric cables running from it, and metal foot-holds running up it for repair workmen. The apex of a tiled house roof is visible, and at the bottom left, the tip of a rocky Guilin mountain in the far distance. One of several birds in the scene. ...and plumes of white smoke rise from the roofs of the houses below. Even the clouds are multi-layered and their shape evolves realistically as they move, something that is easy to miss due to the camera pan. 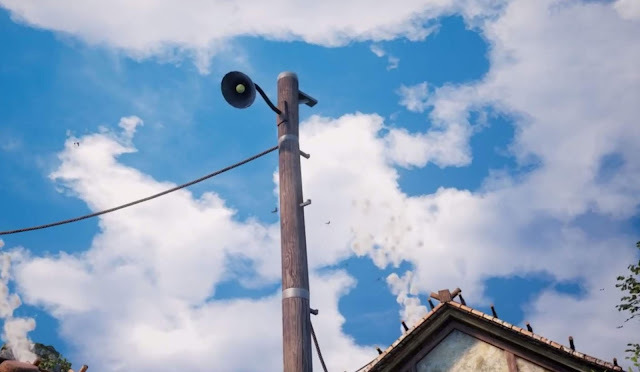 Compared to the static "sky box" in the original Shenmue games, one can appreciate the dynamic implementation allowed by the modern graphics engine used for Shenmue III. Clouds morph as they traverse the sky. Of course the inclusion of an Easter egg can't go without mention! Around the house, the grass and foliage sway with the breeze. The moving plant casts a shadow onto the rock beside it. 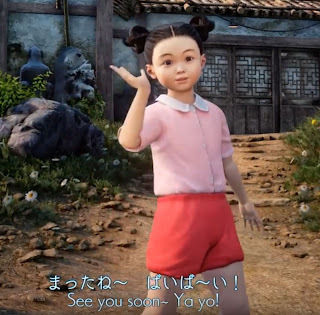 The last scene of the video, where the girl waves to the camera, will of course be familiar to many, since a single frame was included in the Kickstarter Update that announced the start of the soft launch for the backer surveys. Image from the "backer surveys soft launch" Kickstarter Update. 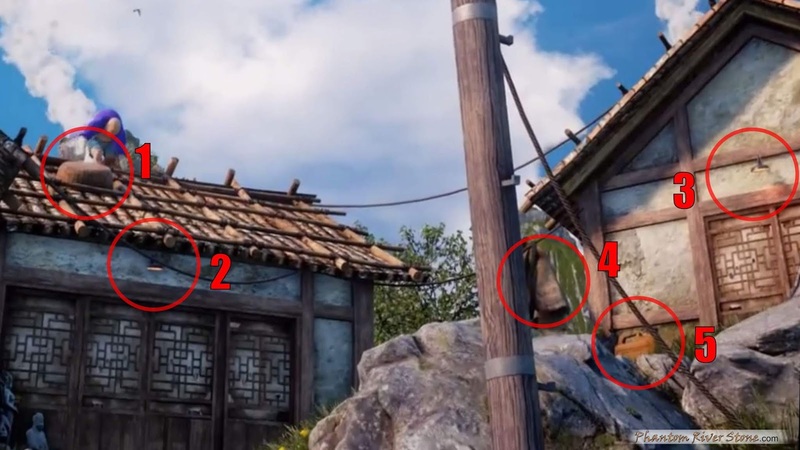 The location of this scene can be recognized as the same one as in the clip from the THQ Nordic presentation (linked above) where Ryo crouches down to talk with the little girl with the "Wing Chun" training device positioned at the far left. I have stitched together several still frames from the new video, as well as one from the THQ Nordic clip, to give a wider view of the scene. The boundaries are not 100% seamless due to the varying camera angles, but it gives a good idea. Dotted around the scene are a few items that bear closer inspection, numbered in the picture below. #1: Lying on the tiled roof of the house, is what looks to be some kind of tub (one of our blog patrons suggested it is a basket), turned upside-down. I'm a bit stumped as to what it is doing here. 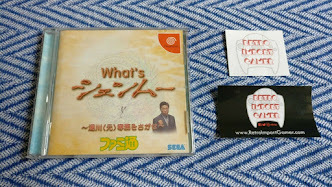 Leave a comment below if you have any idea! The "backer surveys soft launch" update image had the light turned off, but in the video it is on. #4: It looks like there is an old rug or blanket - perhaps hanging up outside for airing. 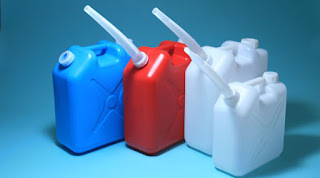 #5: This top of an orange container of some kind can be seen outside the house on the right. I think it's likely to be the kind of container we have seen in Shenmue 1, which is often used for storing heater fuel for the winter. 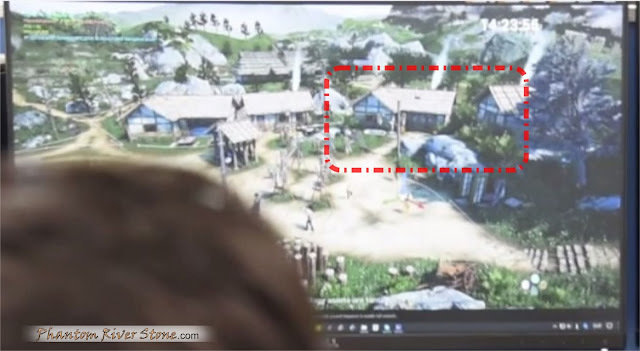 In the March Development Report video, we were treated to a sneak peak of a bird's eye view of what appears to be Bailu village (partially obscured by the head of a developer!). 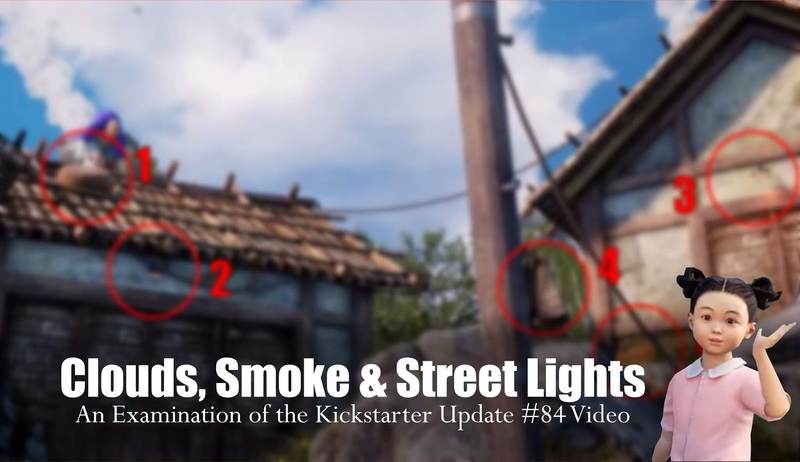 By comparing the appearance of the house, street light and other features, we can confirm the location of the scene in the video, marked on the image below. Locating the area of Bailu village in which the scene from the video takes place. The video also serves to showcase some more motion-captured character animation, such as the way Chai scuttles across the roof and leaps down to the ground with his cloak billowing behind, and the little girl walking and waving. The girl's lines are all voiced in Japanese, and her lips synchronize properly with her words. 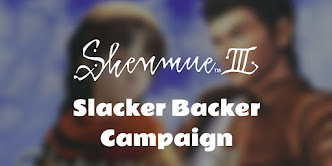 This is in fact the first time we have heard a Shenmue III character speaking! (I wonder whether her subtitled farewell of "Ya yo" has a meaning in any language? Her spoken words are simply "bye bye"). That wraps up our examination of the video. While it did reveal any important secrets, it was still full of plenty of small details. 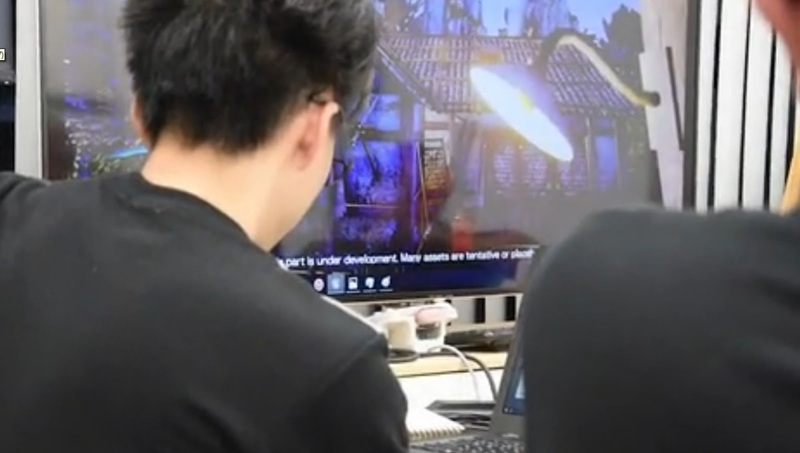 I also appreciate that the development team took the time to specially record the message, not only via motion capture but also with voice recording, and present it in an animated sequence for this backer update. This article was available early to Phantom River Stone patrons. Support the blog on Patreon and enjoy early access to all premium posts like this one during the month!